They say silence is golden, but a brighter tinge is added when the music of Kelly Oliver fills the air. Her precious vocals illuminate an empty room and this talented artist is set to create further waves with the release of her second album. BEDLAM is the next up record from the ever evolving pro-active folk music project known as Folkstock and shines a serious light on the label’s focal artist. This ten-track record is made up entirely of original compositions which quite often is not the norm for a style of music fervent in celebrating the traditional song. However Kelly and her collaborators have delivered a highly credible record finely tuned in so many aspects. 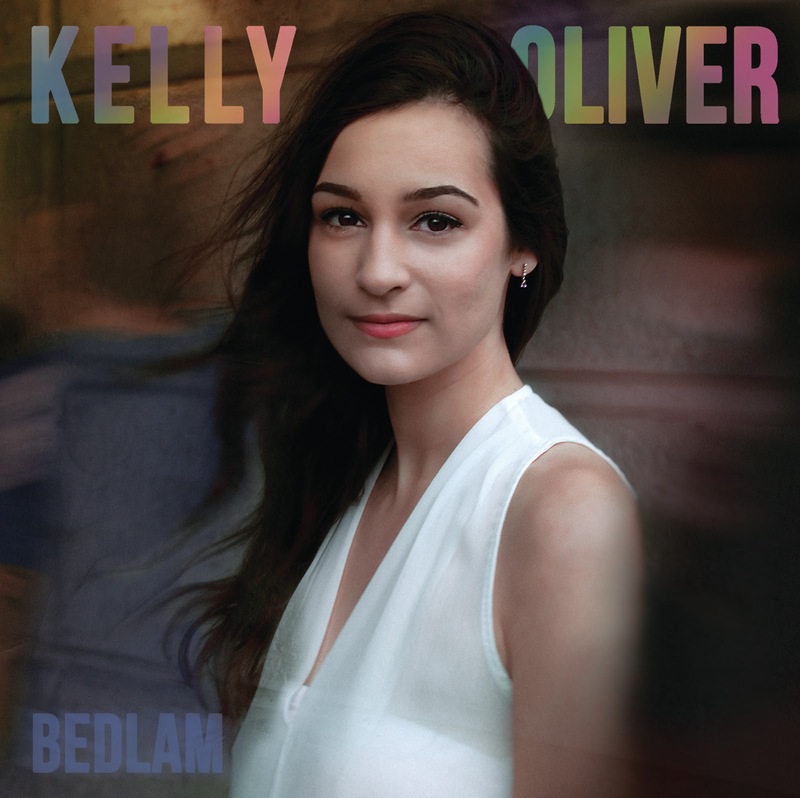 The approach to BEDLAM has been for Kelly to work with three different producers, each bringing a slightly different facet to the album. 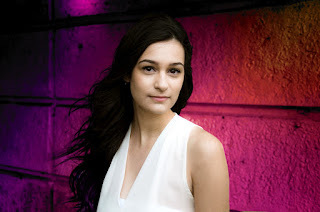 What binds the record together is the voice of Kelly perfectly finding its pitch and the fact that her writing presence is embedded within each song. A clear trait of the sound is the refreshing way that Kelly adds a youthful vibe to what is quintessentially a traditional folk way of song delivery. Yet there is a strong reach out to sceptics who may not associate this in a contemporary context. Probably the most prominent input from the outsiders is the production steer of Nigel Stonier giving two of the tracks a distinctly commercial edge. This is likely to be in outreach rather than lucrative terms at the moment, but both ‘Jericho’ and ‘Rio’ have already been sectioned off for prime promotion in advance of the album getting a more thorough campaign in the guise of Kelly’s extensive spring tour. At this point it is worth commending her as one of the folk scenes busiest artists, with countless gigs, radio slots and a savvy approach to utilising the unlimited potential of social media promotion. In fact unlimited potential can also be attached to the future of Kelly as a singer-songwriter matched with her instinct for innovation and inspiration. Stu Hanna of husband and wife folk duo Megson takes the reins for the production of four songs including the punchy opening title track ‘Bedlam’. He was also at the helm for one of Kelly’s solo writes in ‘Miles to Tralee’, another track that has previously surfaced on a Folkstock compilation album and another to have the promotional benefit of a video. Joining the fray on another Stu Hanna produced song is his wife Debbie who adds backing vocals to ‘Same World’. Extending the family and backing vocal theme, it is also worth noting that Thea Gilmore, the spouse of Nigel Stonier, makes a contribution on the aforementioned ‘Rio’. One of the other named players on the album is fiddle player Ciaran Algar who joins the other talented musicians on ‘Jericho’, for what personally emerges as the rousing stand-out track. This is one of the numbers to benefit from a short interlude of Kelly’s harmonica playing. This also occurs on ‘In the City’ which heads a quartet of songs produced by the album’s third production architect Lauren Deakin Davies. Lauren was previously in solo control of Kelly’s debut album THIS LAND and perfectly strikes the balance on BEDLAM by creating a finely tuned infrastructure to fully exploit the strength of Kelly’s vocal ability. These tracks are enhanced by the subtle double bass playing of Lukas Drinkwater. Ultimately BEDLAM comes across as a precision measured piece of work, delicately balancing all the input variables to create a record gift wrapped for the listener. 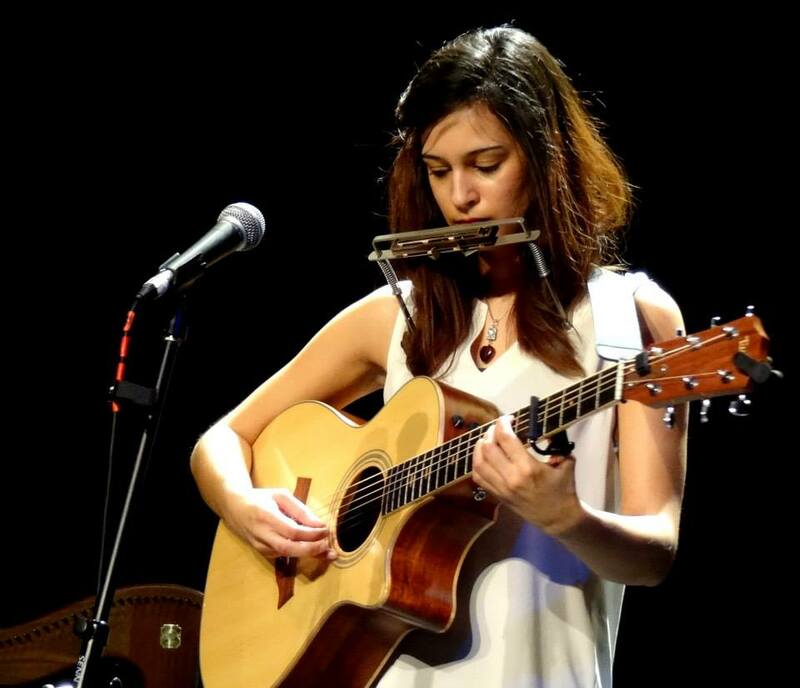 The challenge to buy into the talents of Kelly Oliver will not be too difficult for fans of folk and roots music far and wide. The opportunity also exists for her youthful enthusiasm and approach to widen the pool of inclusion.